First edition of this work on Meier. Folio, original cloth. Signed and dated by both Richard Meier and Kenneth Frampton. Fine in a fine dust jacket. Richard Meier won both the Pritzker Prize (1984) and the AIA Gold Medal (1997). He has built the Barcelona Museum of Contemporary Art, the City Hall and Central Library, and The Hague Getty Center, Los Angeles. Meier builds onto the style of the mid-20th century architects. The early work of Le Corbusier is a particular inspiration, and most of Meier's work has been inspired by Corbusier's idea, more at least, than anyone. Of course, Meier expanded from his predecessor. Some examples are the Villa Savoye and the Swiss Pavilion. 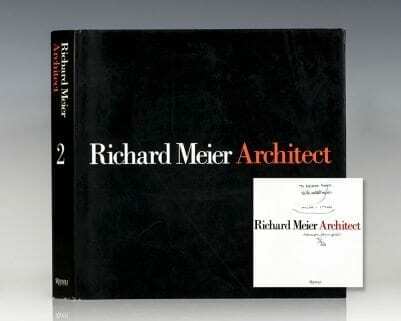 Richard Meier, Architect, Vol. 2: 1985-1991. New York: Rizzoli Press, 1991. 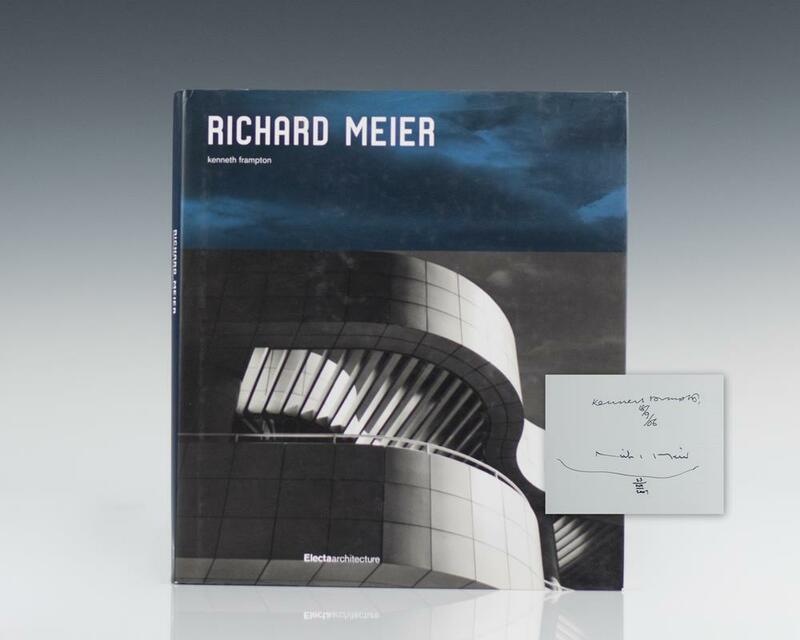 First edition of volume two of the works of Richard Meier. Quarto, original cloth, illustrated throughout. Inscribed and dated by Richard Meier and by Kenneth Frampton on the title page. Near fine in a near fine dust jacket with light rubbing. de Poncins, Gontran. In collaboration with Lewis Galantiere. Illustrated by the author. New York: Reynal, Hitchcock, Inc, 1941. First limited edition of French adventurer Gontran de Poncins’ classic account of his solo unsupported journey in the Canadian Arctic. Octavo, bound in three quarters morocco over cloth covered boards with gilt titles and tooling to the spine. One on only 550 copies, this is number 81. Boldly signed by the author on the front free endpaper, “Before I disappear for good!…I remain your friend, ‘Eskimo Miki’, de Poncins.” With the original Publisher’s Note laid in which explains, “The Vicomte Gontran de Poncins, author of KABLOONA, called out of the Arctic to join the colors of his country, disappeared in the debacle of the French Republic following the fall of Paris. It has therefore been impossible to obtain his signature for this limited edition.” Poncins did in fact survive, and this is one of the scarce copies that he signed.